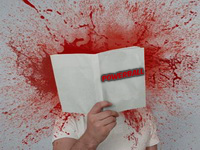 4 Powerball Facts That Will Blow Your Mind! We Mean It. Powerball is the most popular lottery in the known world, at least so far. A few months ago, Powerball paid out a record breaking $1.5b to three lucky lottery players. However, this is not the only distinctive fact about the Powerball. There are several facts that will for sure blow your mind. It’s not all about the jackpot, or is it? Without further a due, let’s take a look at a few of the most interesting facts about Powerball. In order to win the Powerball, lottery players are required to select 5 of the 69 white balls that are in the drum. Ok, so you have all 5 numbers on your lottery ticket. However, you’re still not the winner of the jackpot. There’s another separate drum which has 26 red numbers. Only one number is drawn from this separate drum. So, you have to pick 5 numbers out of a 69 number range and another number out of 26 possible outcomes. I can’t even guess a number between 1 to 10, yet to pick a number between 1 and 26 after I got 5 numbers correctly. It seems impossible. Yes, it only seems impossible, it’s very plausible, but highly unlikely. I confused you there, did I? All you need to know is that if somebody asks you what do you have to do to win the jackpot, tell them you have to win it twice! It will blow their mind. This is probably one of my favorite Powerball facts. If you’re thinking “I’m not paying any taxes” you’re a fool. You just became a star, you’re famous, people envy you. Most likely, you’ll be followed by paparazzi everywhere you go, for the following month or so. Do you doubt the capabilities of the tax guy? You better not. So how much do you actually have to pay in taxes. First and foremost, the winner pays two tax bills, one being a state tax and the other local tax. For example, let’s say you live in New York and you’ve won the biggest ever jackpot of $1.5b. You’re going to pay roughly $370m in federal taxes, $120m in local taxes. Oh, did I forget that the lottery operator retains 20% of the total jackpot? If we do the math you’ll end up with little over $440m. Bear in mind, this calculation applies only if you decide to take away the jackpot in one big lump sum, which the majority of Powerball winners do. And you thought you were going to become a billionaire. I’m not saying you’re not, instead I want to say that this is not the right time for that. Maybe when the jackpot reaches a new record jackpot amount of say $3b, which to be honest seems very probable. That’s right! The new lottery system where the balls are drawn from two separate drums make the Powerball one of the most challenging lotteries in the world. Winning the Powerball jackpot certainly requires a lot of luck. We tend to disagree with this whole luck thing. It does require some portion of luck, but it also takes skill, dedication and experience. That said, you’re more likely to become the next US president, get struck by a random lightning, become a famous movie star, or all of these combined, than win the Powerball. It’s that unlikely! Even if you were to join forces with let’s say 100 other lottery players who are really passionate about the Powerball, you’re still nowhere near the grand prize. 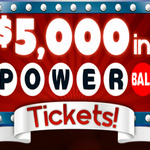 You might as well quit from your dream of winning the most desired lotteries in the world. Damn, this Powerball facts get on my nerves. There’s a good correlation between the amount of the jackpot ad how many tickets get sold each draw. Very smart and educated people came up with a formula that shows us that the bigger the jackpot becomes, the more players decide to take part in the lottery. For instance, if the jackpot is let’s say $200m, there will be roughly 50 million lottery tickets sold. This is an acceptable number, right? The competition is not that fierce and you have a decent chance of winning a big jackpot. If not this week, maybe the next one. And nobody wins the jackpot for a couple of weeks and it reaches a jackpot amount of $800m. Well, the prize pool has increased, but so did the competition, by staggering 550m lottery tickets. That’s 600m Powerball lottery tickets that are in the race for a $800m jackpot. This leads me to think in a different way. Due to the increase in the number of players, new approaches are competing for the jackpot. That said, there’s always that one lucky fellow player who spat out random numbers and somehow, out of the blue, he/she is the winner of the jackpot. Personally, I’m annoyed by this occurrence, but such is the lottery, such is the life of a passionate lottery player. So, are you going to wait for the jackpot to reach a new record high to buy few extra tickets? Or are you going to keep playing at a steady pace and let time do its job. Don’t let the lottery fever get you. 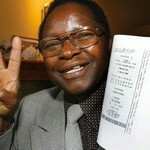 Lottery fever happens when people start spending loads of cash on lottery that they previously didn’t. I guess I had this fever all the long.